I play the cards I am least sure of first. When there are fewer cards on the table there is generally a larger, more forgiving gap for where your unknown year could be. 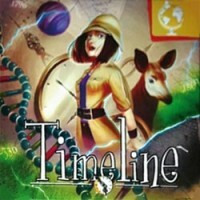 When the first card is placed on the table to start the timeline, instead of placing it date side up, leave it face down. Players can then each take their best guess as to the exact year on the card. The player closest to the actual date goes first.